This product is available in Snapdeal, Ebay. 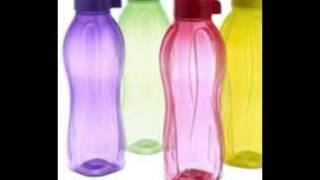 The lowest price of Tupperware Aquasafe Water Bottle Set, 1 Litre, Set of 4, Multicolor was obtained on April 25, 2019 2:18 pm. Original Tupperware products are dispatched.But the Pic shows four different colours while the merchant sent all four in the same color-blue. it would be nice if it is specified that all are same color in the specification. I received four different colored bottles in a plastic bag but there was no damage or dents to the bottles. The Tupperware logo is embossed on the bottles and caps so I think it should be genuine. 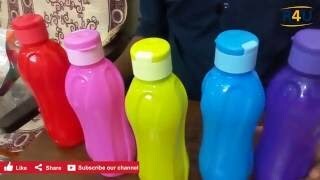 The quality of the plastic is much better than the regular bottles found in the marketplace. I personally prefer all bottles in the same color but the advantage of different colored bottles is that they don’t get mixed up when traveling in a group. Amazon should also take care to package them better. Excellent product and must buy as you will love to have water in this bottle and even guest will like it to have such an nice bottles. Quality​ ok. But price is on higher side.